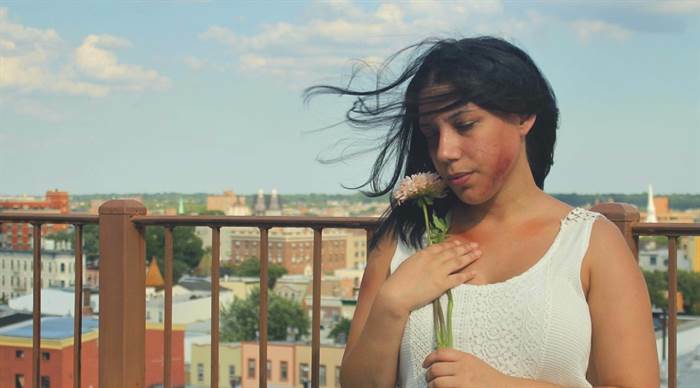 Dahlia is a short film about a domestic violence victim, Mandy, who tries to escape from her abusive husband. The project is led by three female filmmakers, Macarena Carrizosa (director), Anies Castillo (actress and writer) and Michelle Polanco. (producer). The subject of domestic violence is addressed in a very intimate manner in order to establish an authentic connection between the lead (the victim) and the viewer. The script was carefully drafted and revised based on the experiences of eight survivors that were interviewed as well as psychologists and field professionals.